Diamond members are premium members on platform, providing members with comprehensive approach to promoting their products, increasing products exposure and investment return to maximize. Verified Supplier is for prove company authenticity,including business license,trade license and effective office space,to enhance buyers' trust to suppliers and their products, reducing communication costs. The supplier must provide a certificate or permit issued by the relevant institutions from own country,to prove he/she has the right to mining, using and managing quarry resources. 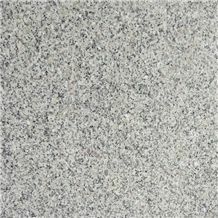 I am looking for AK White Granite.